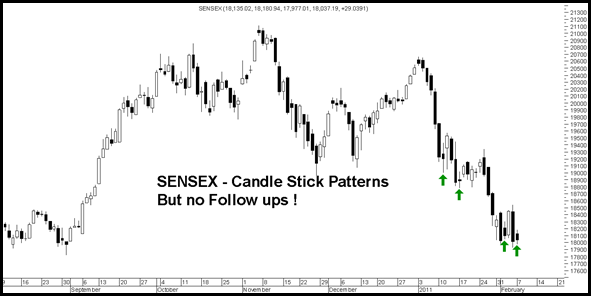 Sensex – No Follow Up Moves on Either Side !! In the last 3 weeks everytime there was a ray of hope through some respite and a positive candlestick pattern the markets have cracked further. We see a doji, harami followed by just one positive day and the next day bang the markets fall. So its a very indecisive market it seems for traders. On friday Sensex saw a very bearish candle and Monday its a bullish harami which clearly indicates market is not ready to go anywhere but after 3-4 instances its high time market will find a short term direction. Traders should be on high alert for market signals. On a simpler basis 17800-17700 and 18500-18600 are two zones to watch for. Previously had mentioned that DLF could enter a new down phase if it drops below 245. Stock did fall below 245 and cracked to 215 but has sharply recovered. Whether this is a retest or a false breakdown would be clear in next few days. A move above 260 would indicate it was a false move. The stock has been testing 195-197 levels for quite some time. Will it be lucky again or crack to 185 quickly on drop below 195. Quick traders can keep a watch. 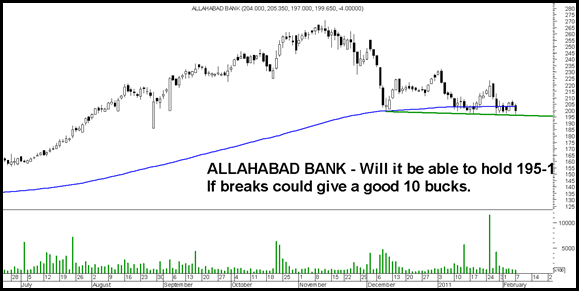 Even UCO bank below 102 could give a quick 5% trade. That’s true it is indecisive markets for traders but for investors there are many stock which are truly valued as per fundamental and even with the technical too. I think time to Grab such stock. appreciate you view and directions. At this point of time my evaluation for last 2-3 weeks has been to increase cash to 50% or more. One may look to buy midcaps once we see a turnaround in large caps which can be either at 17800 or 16800/16100. Else we need to see a closing above 18600. Till then i would just watch. Fundamentally the midcaps do look good but they move only in good times. For example Mirc is available at 5% DIV yield. 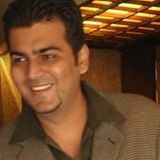 you are looking at market with biased view ., The view is not of a trader but investor . Trade looks at both the sides of the market. Trader is trader , he is not a bull or bear. market is weak when it touched 6338 .
from 6338 C has started of Elliot wave. First leg completed at 5690 with zigzag correction given till 6181. which is 74.6 percent of entire fall . and now third leg started which should take market till @ 6111. which is 1.618 times the first down leg. Sorry if I have challenged your view. Well Jonty my view has been clear that below 19000/19900 investors should have 50 % or more cash and traders on total long exit. Since then technically we are just watching the markets and as i have said next technicals are 16100/16800 on lower side. Intermediate bounces can be seen. So let us see how it goes. There is no challenge on the view. but should it not be averaged as the prices are down or do you expect them to go down further? for longer term say 12-18 months can they be averaged. just need more clarity in decision making. what is the buy level for Camlin, Apollo Hospital.